Have you ever been denied a loan based on your credit? Have you ever been told you can’t be approved for an auto loan? Are you worried about applying again because you don’t want to face another denial? Time to stop running from your credit history- let Garber get your credit up and running again! At Garber Honda, we believe everyone deserves a second chance- and we believe everyone deserves a nicer, newer car they can be proud of. We guarantee your credit approval; whether you have bad credit, no credit, bankruptcy, or repossession- we can get you approved! Garber Honda has great relationships with a variety of specialty lenders, all working together on your side to get you an auto loan! So what are you waiting for? Let Garber Honda help you rebuild your credit while you own a car you can actually be proud of. Apply today with our simple and quick application process, and get ready to drive off in the car of your dreams! Call our credit specialists at 585-267-5830 or apply online! How can you build credit if you’ve never been given a chance? Garber Honda understands, and we specialize in helping people with no credit history. Understanding your unique situation, Garber Honda will take you from zero credit history to hero credit history in a payment you can afford! Apply today with our fast and free application, and start thinking of the nicer, newer car you’ll be driving off the lot! You’re human, and slip-ups are part of life! Garber Honda understands bad credit can happen to anyone, and it can be hard to rebuild. By getting you in a car loan for a nicer, newer car, Garber Honda is the destination to rebuild your bad credit! Apply today with our quick and easy application process and mend your bad credit today! Over a million people file for bankruptcy every year, do you think they have to go without a car they can be proud of? No way! 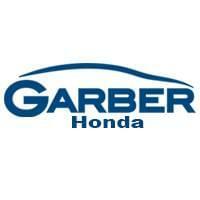 Just because you’ve filed bankruptcy in the past doesn’t matter in Garber Honda Rochester’s approval process. Simply fill out our application and see how fast and easy your credit rebuilds after bankruptcy! So, you’ve had to give a few things back in the past- who cares? Repossession happens all the time, and it will not stop you from getting a nicer, newer car with Garber Honda Rochester. Our fast and easy application will make repossessions of the past a moot point- just apply! Have you been denied credit because of “Slow Pay”? It’s time to move on and get your credit back on track! Simply apply using our fast and easy application, and our approval process will guide you through the entire process, helping you make payments without even realizing it!